It has been a long time coming, but yesterday it arrived. 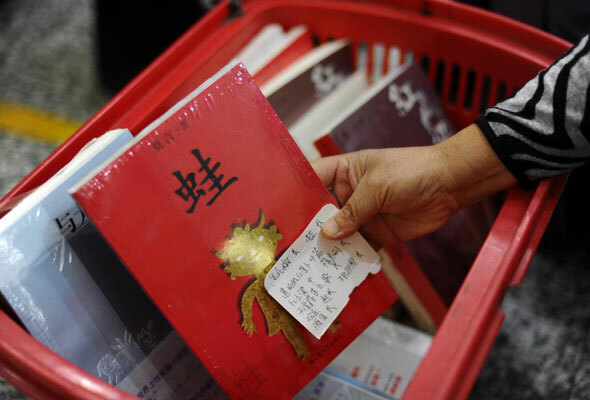 A Chinese national is now a Nobel literature laureate. Take a bow Mr Mo Yan. Mo Yan, 57, grew up in a poor family in impoverished Shandong province. The hardship and solitude of those early years ("A lonely boy, who stayed with a cow all day," he told CCTV), was to provide the spark that would ignite a torrent of creativity in later years. Mo Yan took the harsh experiences of his younger years, and rendered them graphically in his inimitable 'warts and all' style – described by the Swedish Academy in its award citation as "...hallucinatory realism...". Intriguing insights into the extraordinary mind and motivation of Mo Yan can be gleaned from an interview he gave at the University of California–Berkeley during the Second US-China Cultural Forum, in October 2010. He told the interviewer that, "I think my style is close to the American writer William Faulkner. I learned a lot from his books." “In 1984, in the winter, on a very snowy night, I borrowed a book by Mr. Faulkner—The Sound and the Fury. I read a Chinese version by a very famous translator... The stories he wrote were of his hometown and countryside. He founded a county that you can’t find on a map. Even though that county is very small, it was representative. That made me realize, if a writer is to establish himself, he must establish his own republic. "He created his own county, and so I created a village in the northeast region of China that I based on my own hometown as well and established a realm for myself. After Faulkner, it occurred to me that my own experience, my own life in that little village, could all become stories and literature. My family, people I’m familiar with, the villagers—they can all become my characters." William Faulkner's realm – the "county that you can't find on a map," that Mo Yan refers to – was Yoknapatawpha County, which was brought to life in his 1927 novel Flags in the Dust (published in heavily-edited form as Sartoris in 1929). This county, which was modelled on Lafayette County, Mississippi, was the canvas for all but three of Faulkner's more than two dozen works. In time and distance, "Northeast Township" (Mo Yan's fictional community, located in his native Gaomi County) in Shandong province is a world away from Yoknapatawpha, Mississippi. But the people of the two places have much in common, as recounted by their respective narrators. Hardship, suffering, trials, and tribulations have much the same effect on the human spirit, the world over. But what can authors do to actually ease the suffering of those they write about? Or right the wrongs that others have perpetrated? Some are already arguing that Mo Yan is now in a position of responsibility, and that he should use his newly acquired fame to do many things that are outside an author's remit (not to mention a Chinese author's remit). Some, also, criticise the decision of the Swedish Academy. In short, pro and anti camps are already aligning behind well-entrenched political lines. Attempts to pigeon-hole Mo Yan as either "with us" or "against us" are already high-up on the various search engines. Less newsworthy is the voice of well-argued reason. One such voice is Yang Lan, one of China's most successful businesswomen, and famous talk-show host. Ms Yang is also one of the most popular micro-bloggers in China with more than 14 million followers on Sina Weibo, the most popular Chinese Twitter-like site. In her post, timed at 8.44am today (which was re-tweeted 21 thousand times by 4.30pm), Ms Yang makes the point that people should not heap too much expectation on Mo Yan's shoulders. New-found fame, particularly at this important time in China's development, will undoubtedly pile huge amounts of pressure on Mo Yan. Surely an author should not be held responsible for fixing the wrongs that he or she writes about (beyond what has already been achieved by virtue of being widely read). An author has already done his or her job by etching the experiences of archetypal characters into the consciousness of the reader. "The fact is that, as a writer, Faulkner is no more interested in solving problems than he is tempted to indulge in sociological comments on the sudden changes in the economic position of the southern states. The defeat and the consequences of defeat are merely the soil out of which his epics grow. He is not fascinated by men as a community but by man in the community, the individual as a final unity in himself, curiously unmoved by external conditions." While I was watching the rise of Ms Yang's thread, I noticed that a tweet on the same subject had scored more re-tweets and comments. It was from Mo Yan himself. He posted his comment at 10.19am today. It is the first time he has posted on Sina Weibo since 27th August. Interestingly, it's also the first time he has been seen to use a HTC mobile phone to transmit a post. Fittingly perhaps, the Nobel laureate whose name means "don't speak" is using a brand whose tagline is "Quietly brilliant". Although it remains to be seen whether the brand's recent poor performance can be improved by this association. At 2pm, the tweet had been re-tweeted 11,633 times and had attracted 11,301 comments. At 10.30pm, re-tweets had more than tripled (to 36,482) and comments had more than doubled (to 24,298). Followers were signing up in droves all day: At 10.30pm he had 466 thousand, which was 81 thousand more than at 2pm. "Thank you blogging-friends for your support [affirmation], thanks also for friends' criticism." 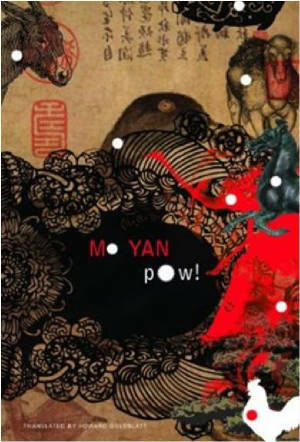 Clearly, if you would like to find out what Mo Yan really thinks then you'll have to read his books. Edited version of an article written on the 12th October 2012 (published elsewhere on this website).